The Rotary Club of Chestermere is acknowledging and celebrating some of the community’s volunteers who have supported them. Six volunteers from the community including, Shannon Dean, Reese Van Gelder, Leslie Mitchell, Eric Sinclair, Doug and Marjory McKay, and Aaron Armstrong were all chosen by the Rotary club to be recognized for their volunteer work with a pin, and a certificate. In order for volunteers to receive a pin they must meet three out of four criteria points regarding Rotary’s Amazing Race such as, being a sponsor, serving as a challenge host, being on a team, or participating in a non-Rotary community service activity. “This is thanking them. It’s an honour to get this pin, we just wanted to say thank you,” said Rotary Club of Chestermere President Maury Quinney. As a service club, the Rotary Club’s focus is to work and help the community in Chestermere. “Our Rotary group is fairly small, and we need help from the community to help the community,” Quinney said. The volunteers are represented as the tree root system on the pin, because of the volunteers Rotary can grow, and thrive he said. 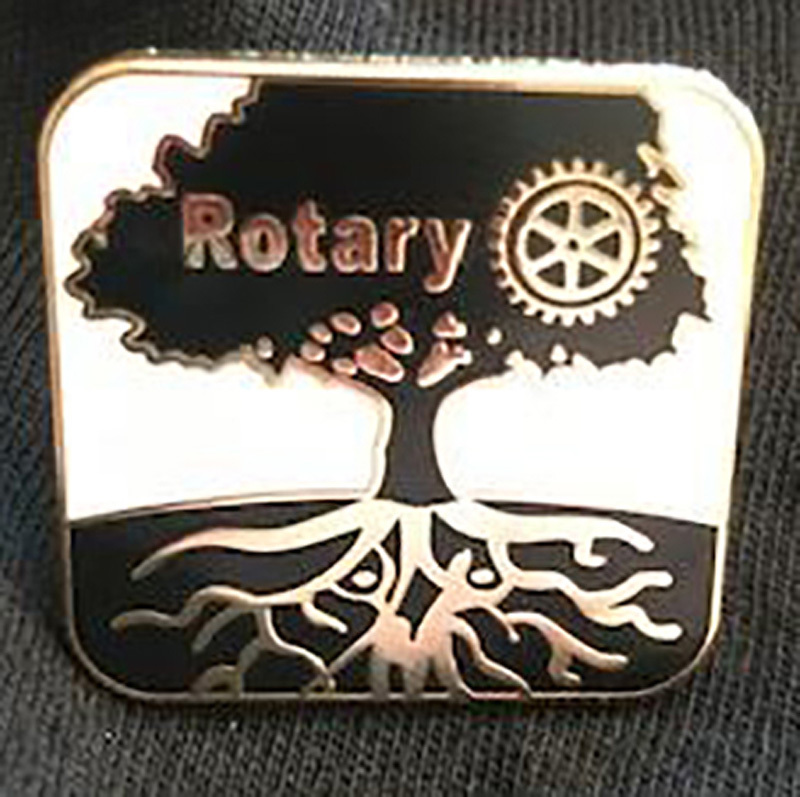 “The pin displaces a tree representing Rotary and the tree’s roots that represent the volunteers who are the foundation of important community initiatives,” Quinney said. “All six of them are very special people, and businesses in Chestermere that do support Rotary as well as they support their community,” Quinney said.